SW - TECO-Westinghouse Motors (Canada) Inc. The SW reducer, which complements the Motovario NMRV gear reducer, has a shaft height between 30 and 110 mm (Baugrößen 030 bis 105) and a compact round smooth body casing design that reduces the space as much as possible. 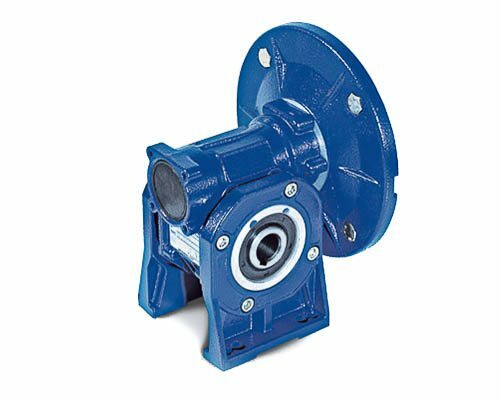 For better reliability and compatibility/effectiveness of supply, the gearing, the bearings, the motor flange and the accessories are those of the NMRV series. Aluminuium units are supplied complete with synthetic oil which allows universal position mounting, with no need to modify lubricant quantity. Moreover units without plugs reduce the risk of oil oxidation and contamination.